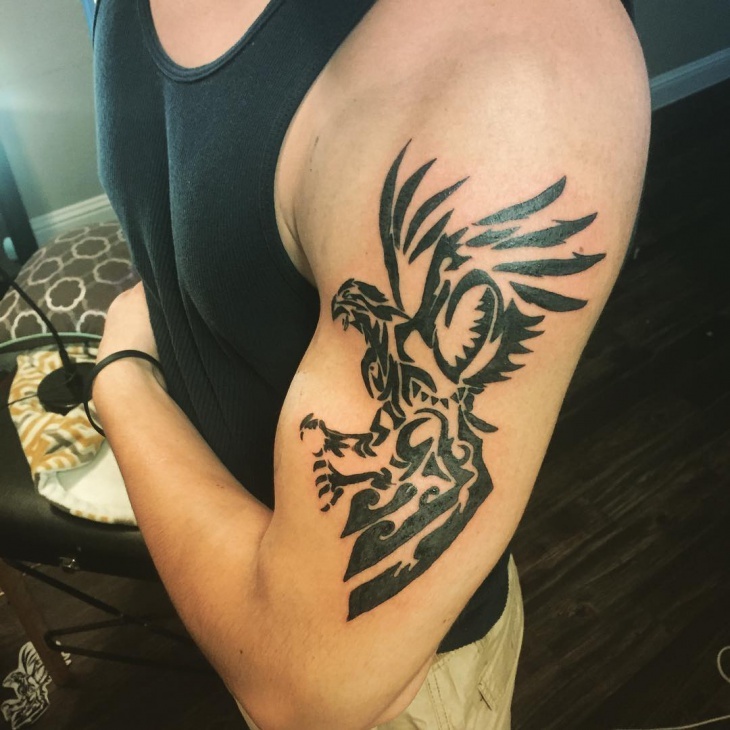 Just like any other tribal tattoos which show the fearless attributes of a warrior, the Phoenix depicts courage as well as ability to overcome any challenges. 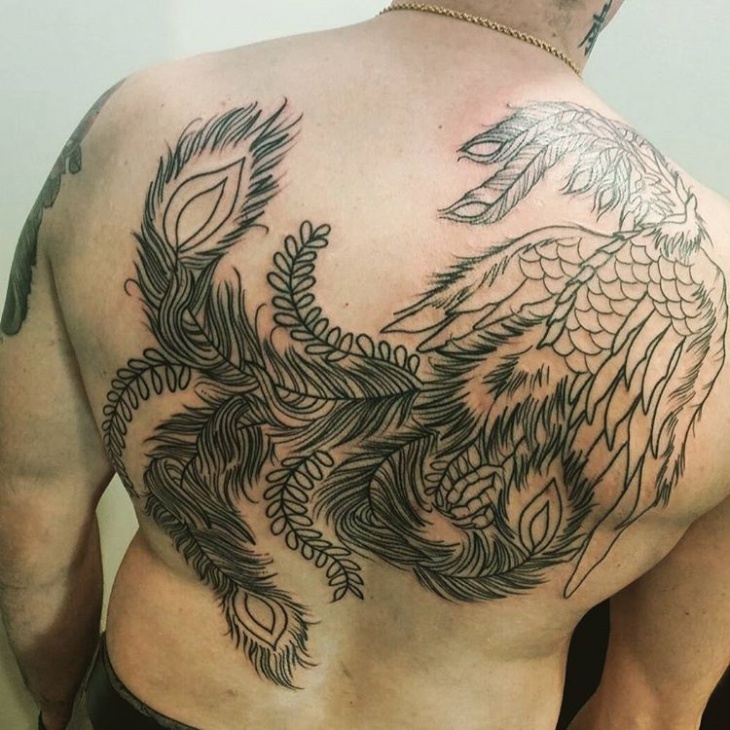 These tattoos are done using black ink and the dark, thick lines help the tattoo to look eye-catching. We all go through life challenges at a particular time. 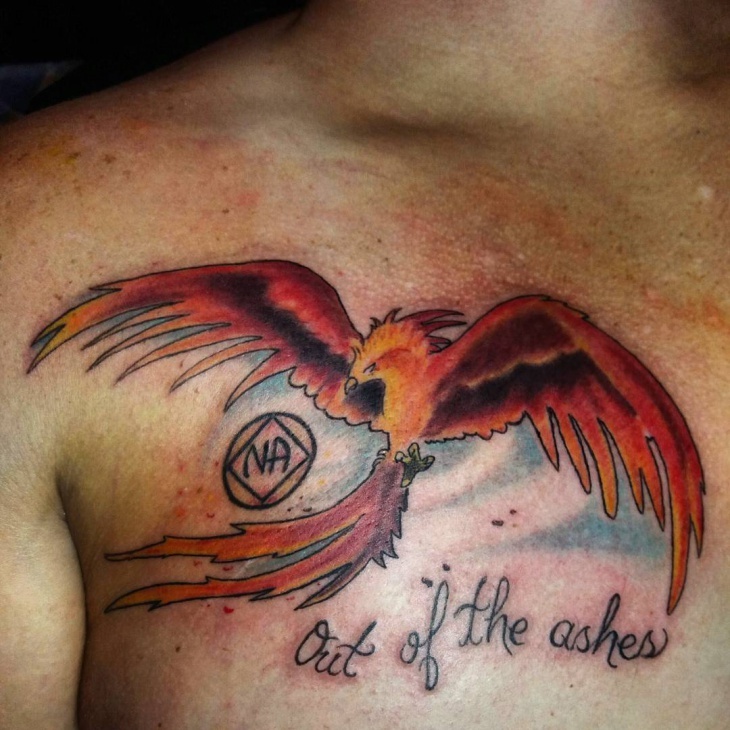 You can show your attitude and courage of defeating trying times by opting for a rising phoenix tattoo designs. 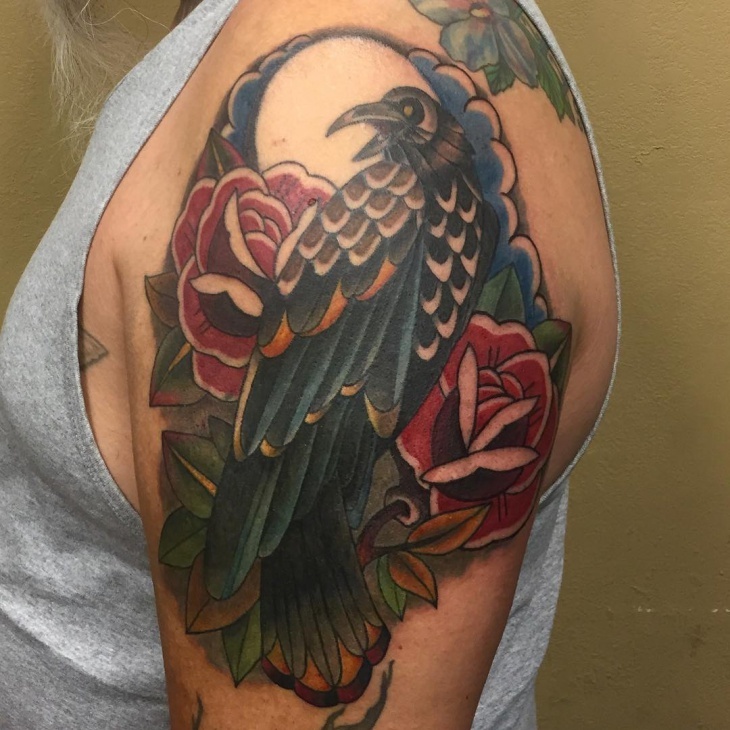 While most Phoenix tattoos for females involve colorful design, a simple black design is also artful. 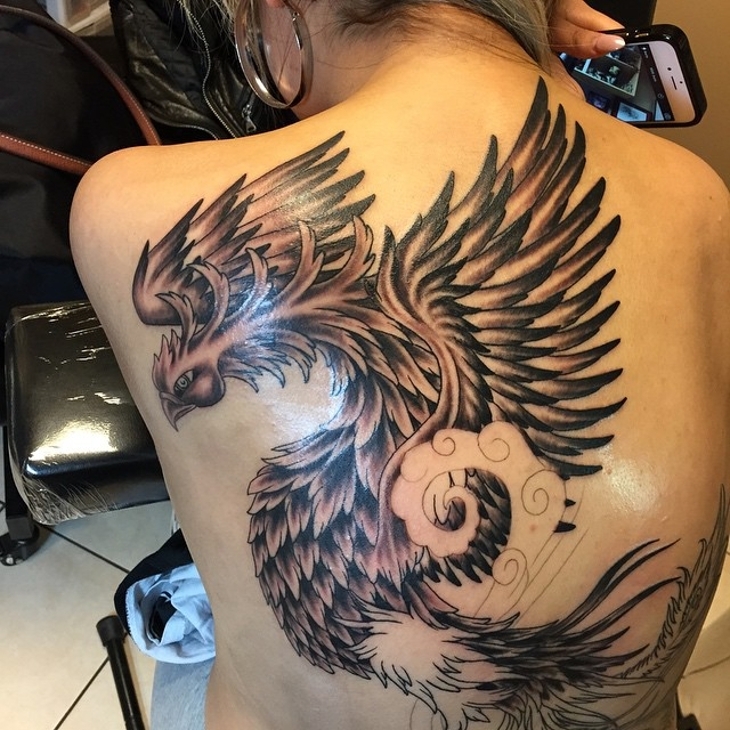 Apart from providing a large canvas to draw a phoenix tattoo, the back is often covered by clothes hence preventing your tattoo from aging out faster due to frequent exposure to the sun. Add other symbols to give your design an edge. 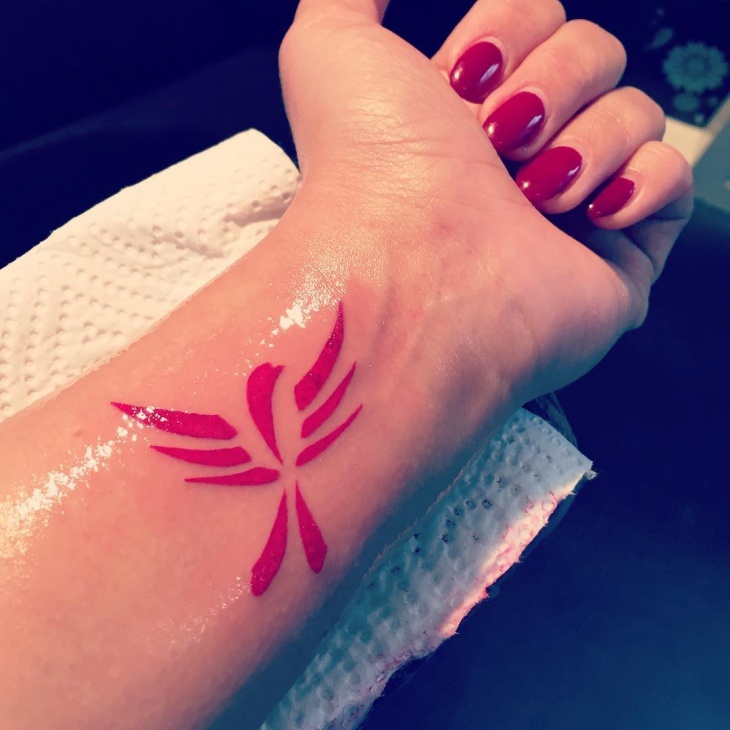 Women can opt to draw a phoenix tattoo on the arm to show their delicate nature. These tattoos are perfect for showing self-confidence and strength to face any obstacle. Even the pain of getting this tattoo will show your bold personality. 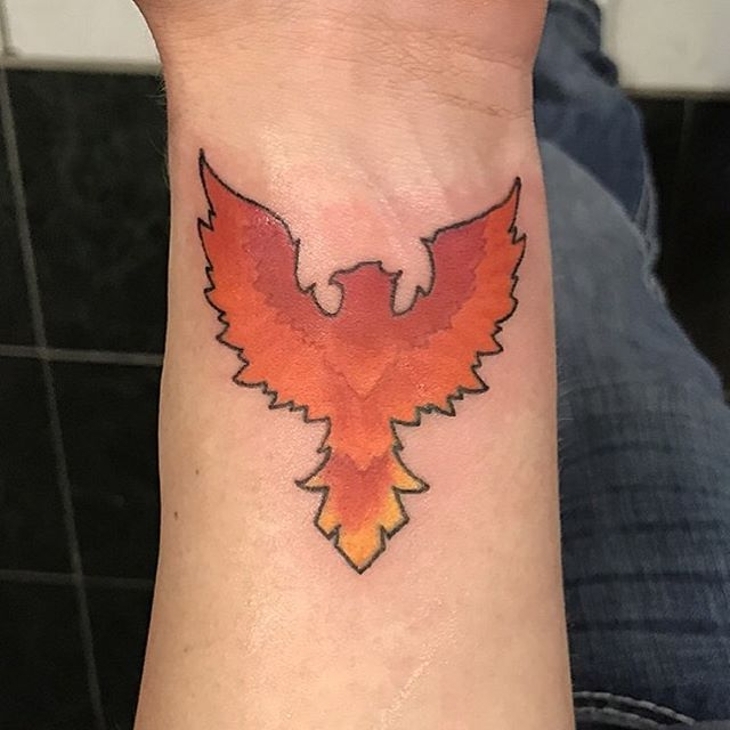 Even though there are many feathers choices, the phoenix feather is one of the most outstanding and has deep symbolic meanings. 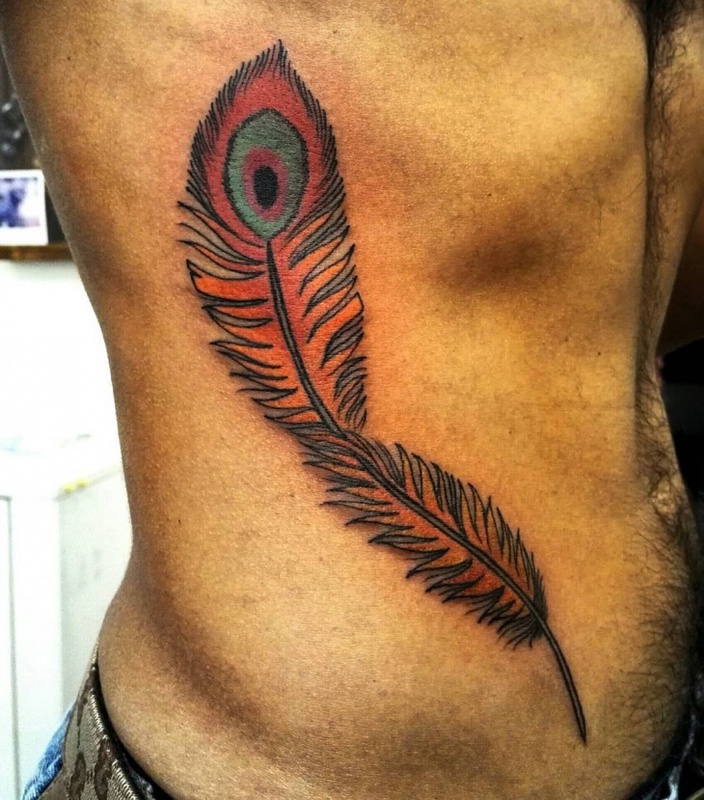 This tattoo can be inked in any vivid colors of red, orange, green or yellow depending on your skin tone. 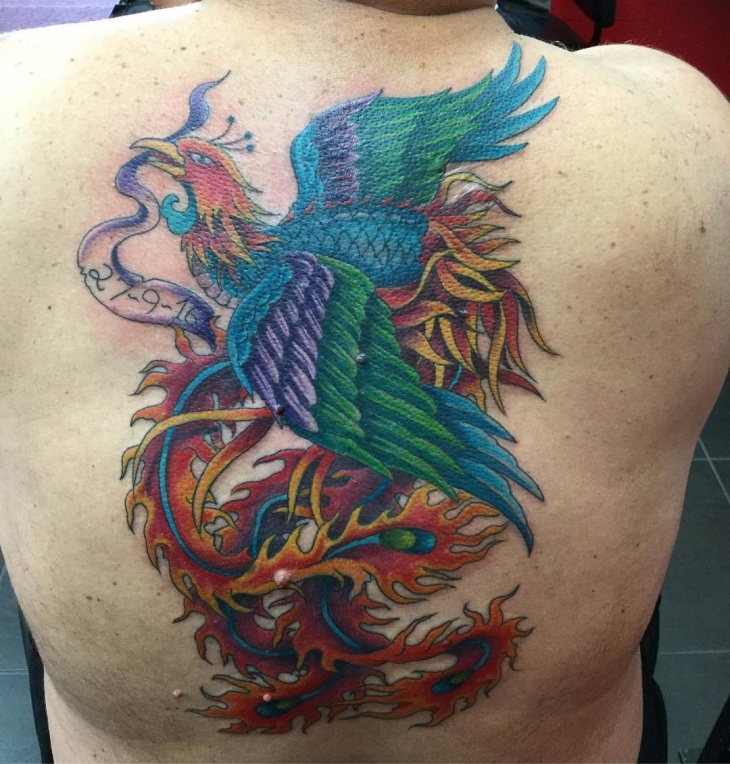 Each body part of the Phoenix has different meanings so you can choose any design and ink it as a small tattoo. 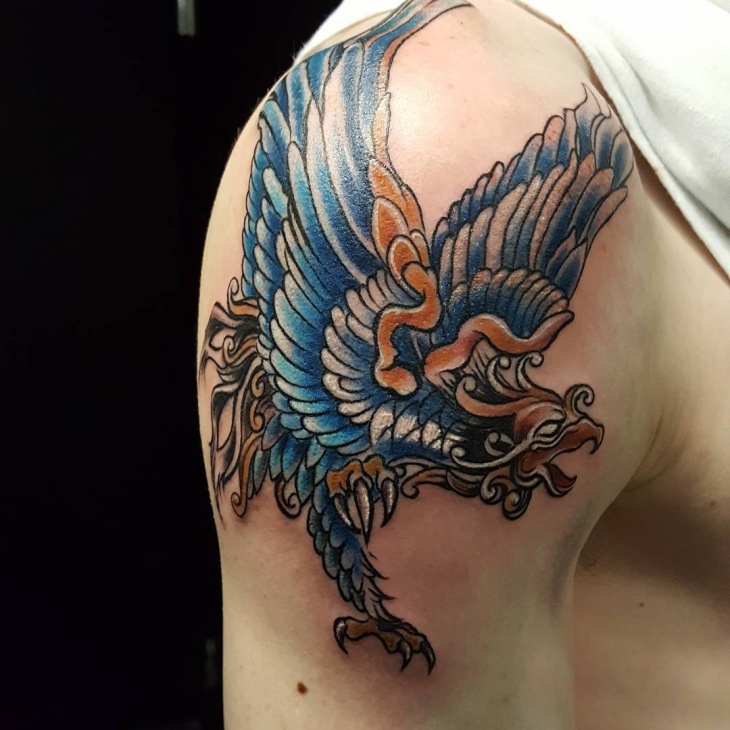 Opt for wings which represent freedom and prosperity or draw the head to show how you are as a reliable person. Open wings will convey a readiness to start a new chapter in life. 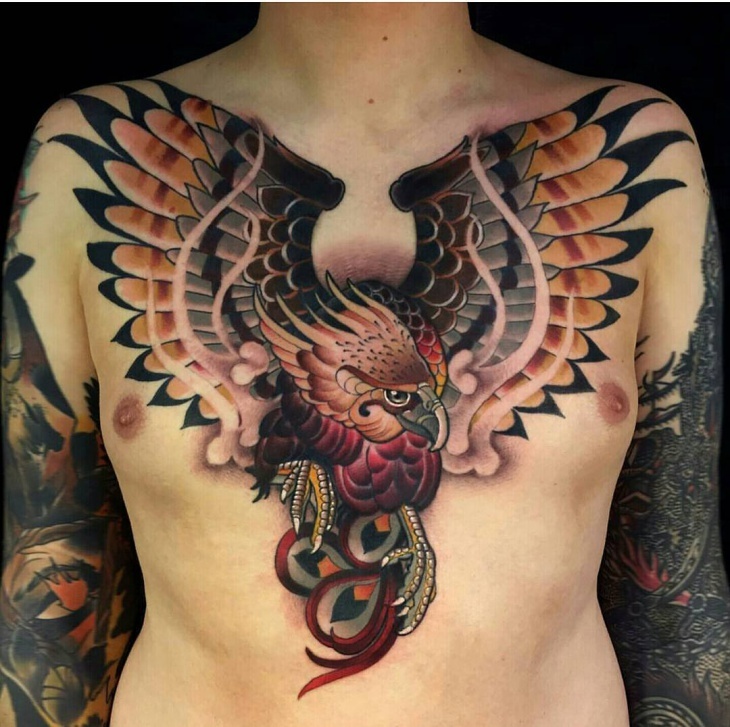 Phoenix wing tattoos symbolize prosperity. This tattoo can be inked on the chest, legs, back, ribs or neck region. 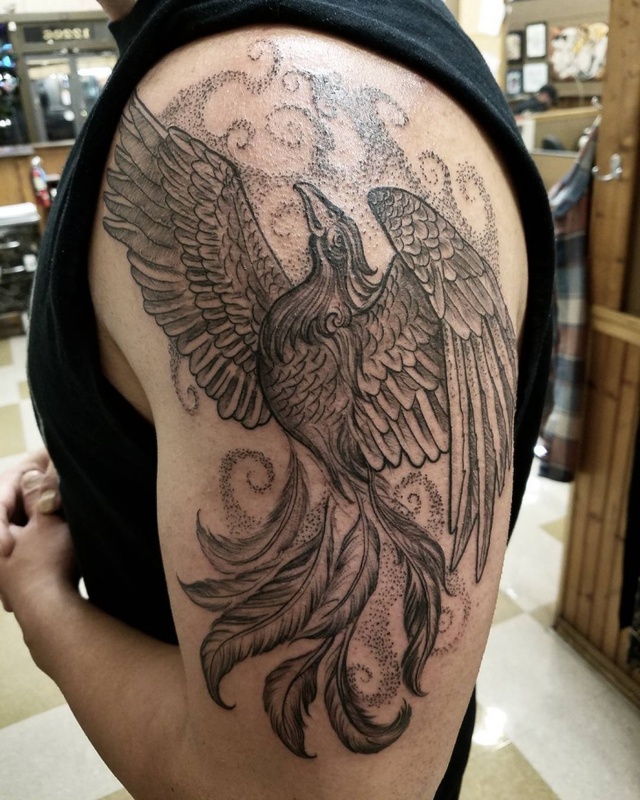 While some people prefer this tattoo in bright colors, others go for subtle designs in black and gray ink. The dazzling colors are a favorite to most women with men preferring cool colors. 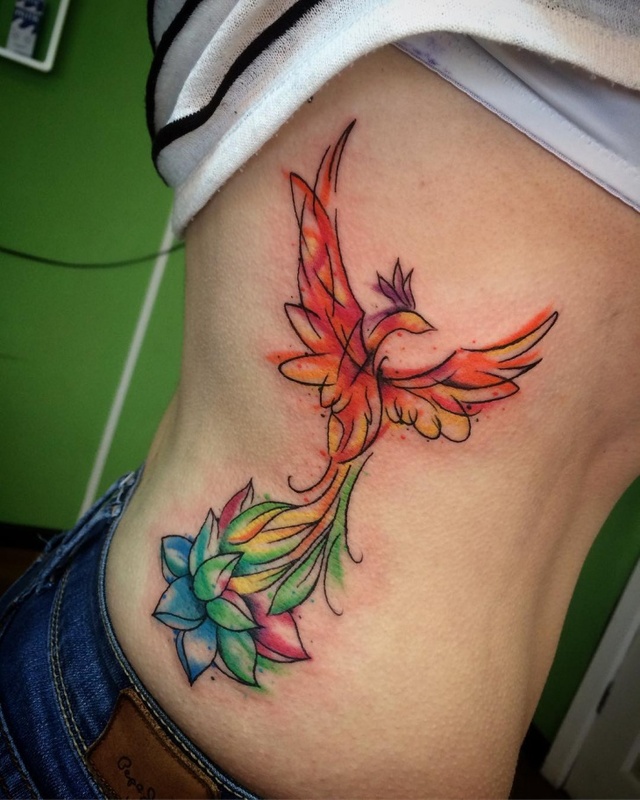 If you prefer your Phoenix design to be simple, then you can add flowers to enhance the visual appeal of your tattoo. 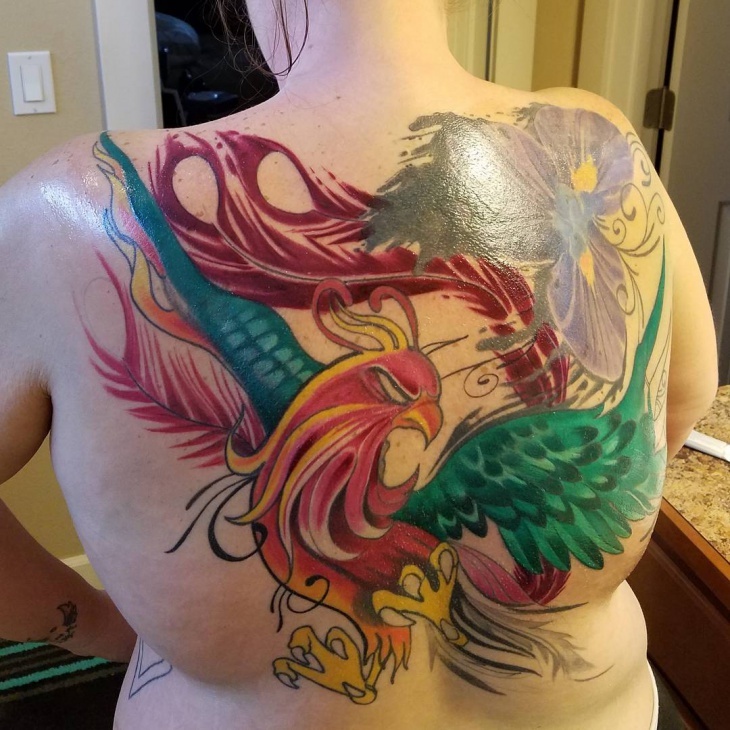 A red rose with green leaves works to showcase the different shades of a Phoenix. Still, you can add other flower designs like a sunflower, lily and lavender. 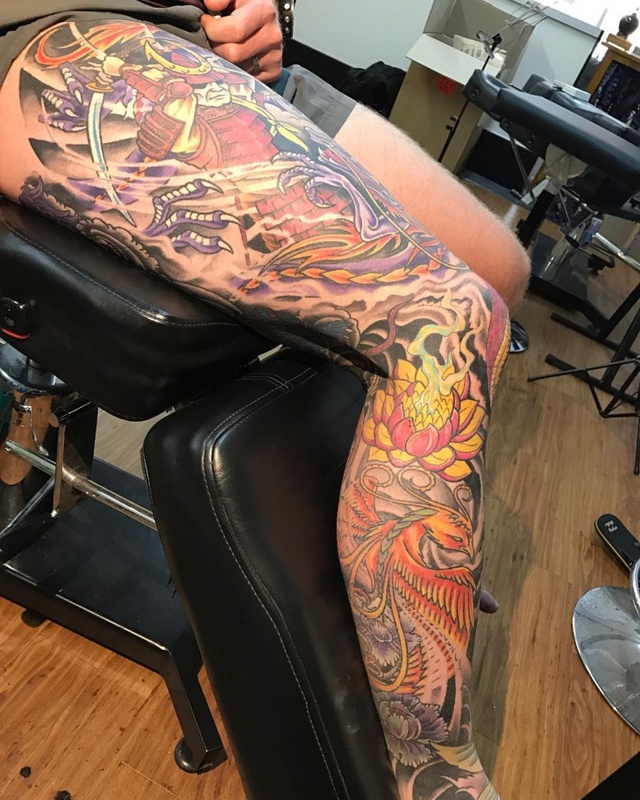 Phoenix leg tattoos are a sign of commitment and including other artwork helps to tell your story to the world. These tattoos are painful so ensure you get a design that is worth your time, pain and money. A simple Phoenix wrapping around your ankle can act as a beautiful anklet. 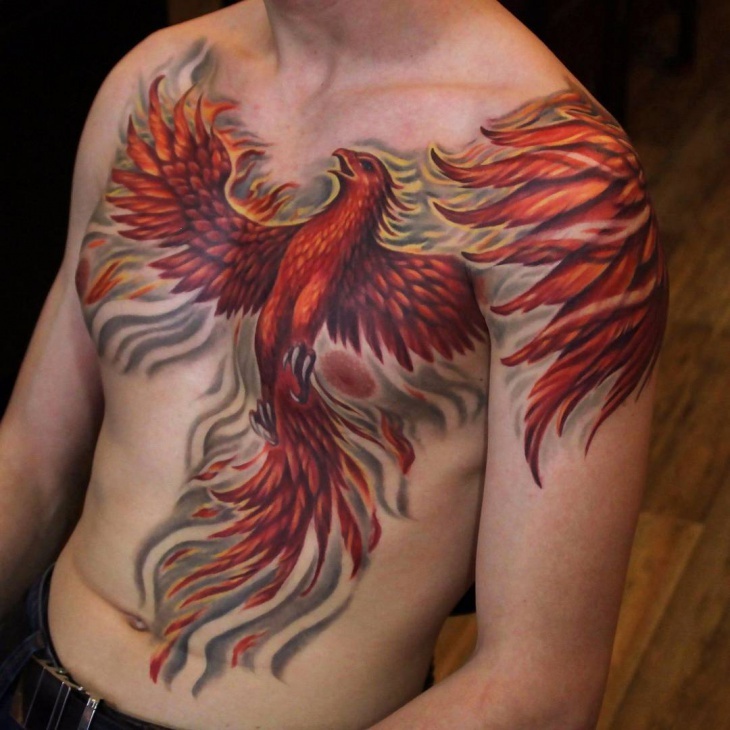 Getting a phoenix tattoo in 3D style will help your design look more appealing. As with any new technology, get these tattoos from a skilled artist. 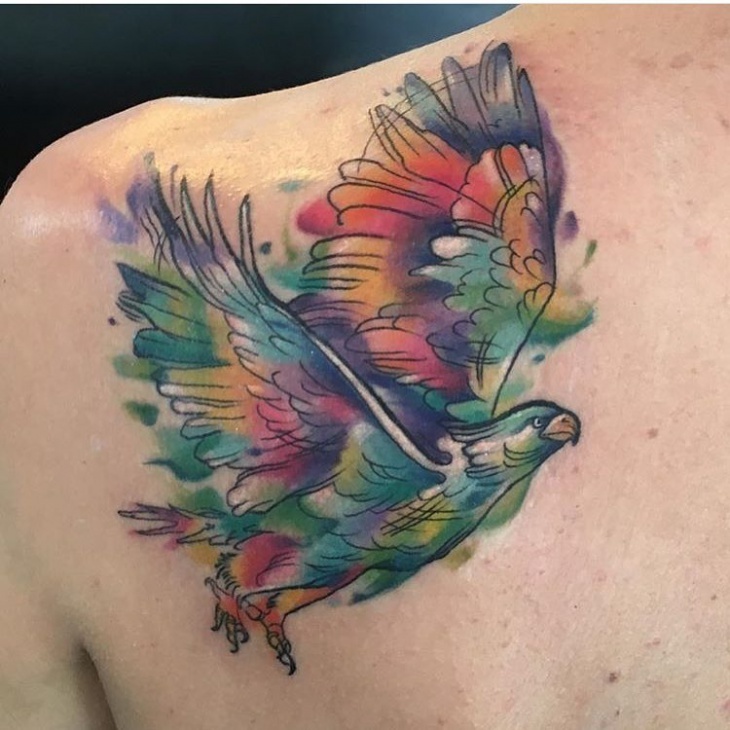 The 3D effect will show every intricate detail of each line, shading and color of the bird. 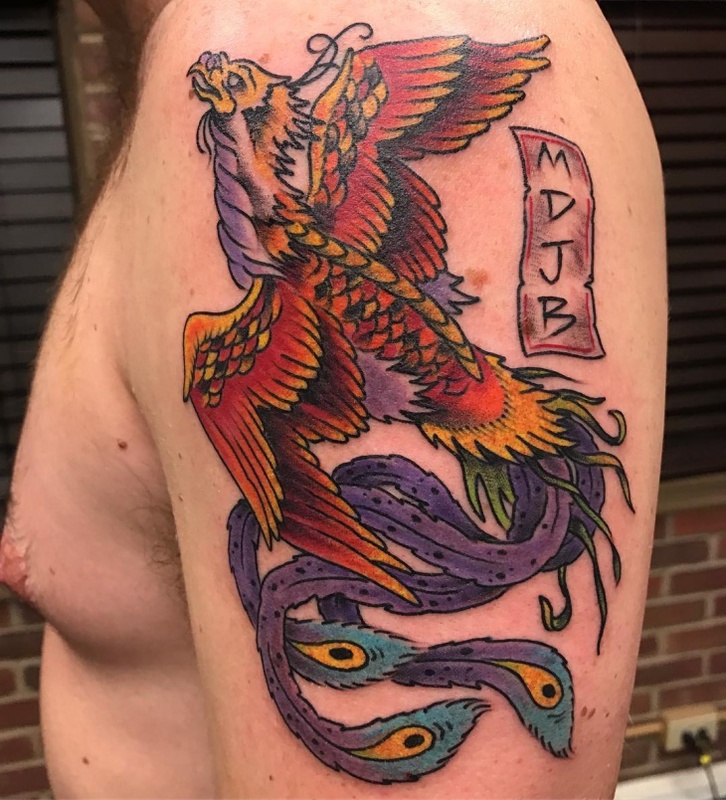 While the standard way to get a phoenix tattoo on the shoulder can make you cool, you will make your tattoo way more interesting when you opt for watercolor tattoos. 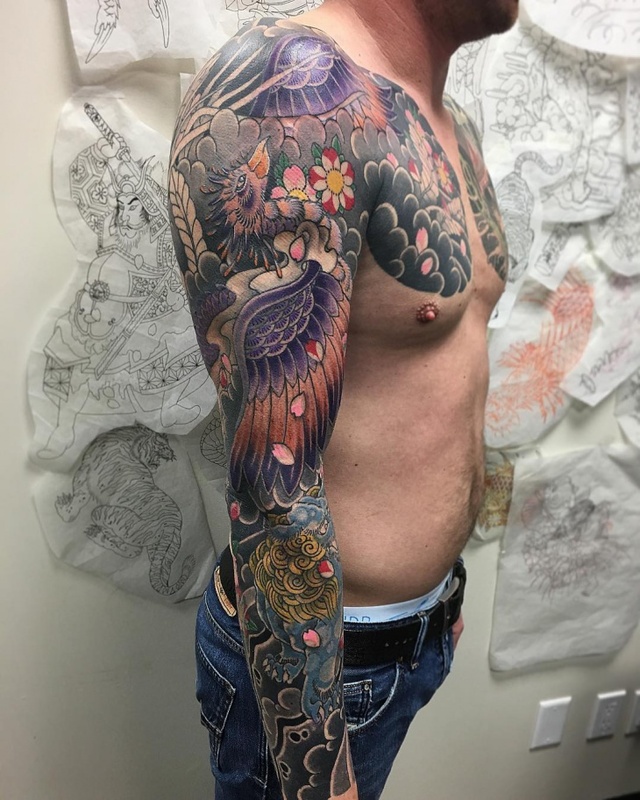 These tattoos are perfect for men who want to express their transformation. 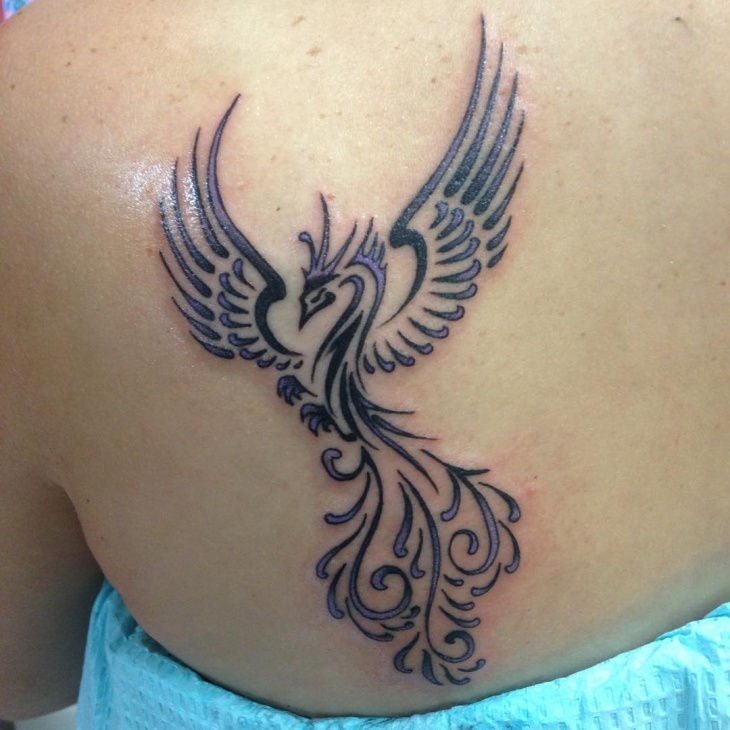 Whether for its aesthetic beauty or to signify new beginnings, phoenix tattoo is attractive. They depict prosperity, courage, self-belief, kindness and any other good virtue in a person. 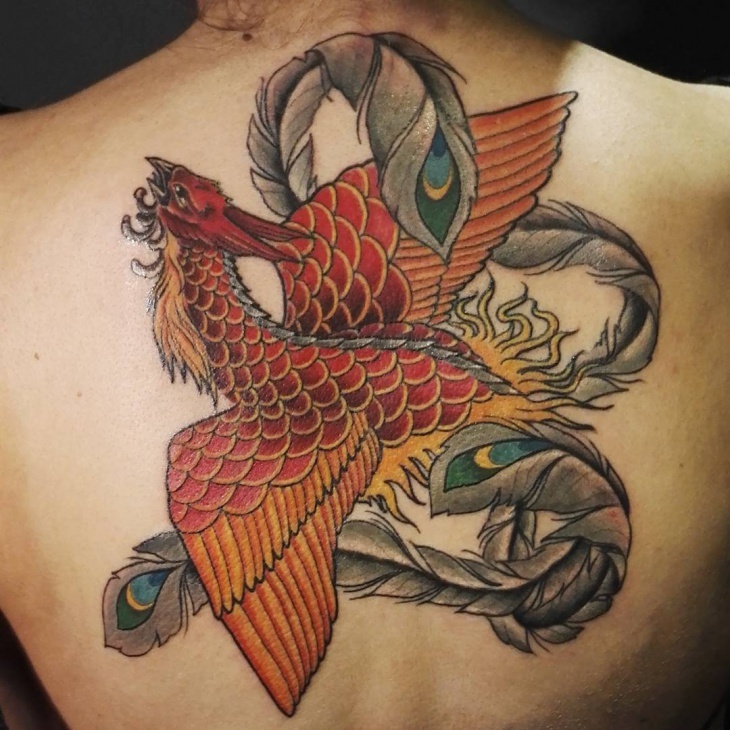 Just like other bird tattoos, the Phoenix also has a focal pace in many cultures which further adds to their alluring traits.